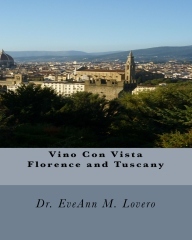 If you follow my posts, you know that I love traveling through Italy’s spectacular wine regions and sampling interesting local wines on my way to the UNESCO World Heritage Sites. It is always easy for me to find an incredible Vino con Vista spot. 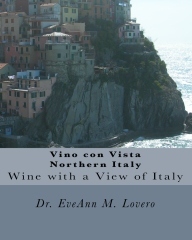 There are so many beautiful vistas in Italy and so many interesting wines that pair well with the Italian cuisine. 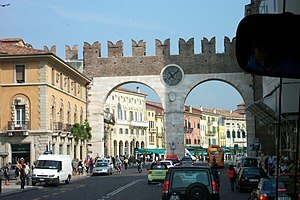 Veronafiere. Vinitaly 2014 is the world’s oldest wine exhibition – founded in 1967. » TIMETABLE : non-stop 9.30 A.M. – 6.30 P.M.
For more information visit www.vinitaly.com. The Vinitaly International Award 2013 went to the Terredora company and American journalist Alfonso Cevola. 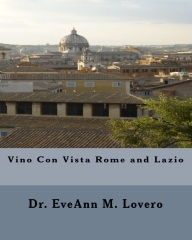 Gambero Rosso has published a guide to Italian wine for many years called Vini d’Italia. 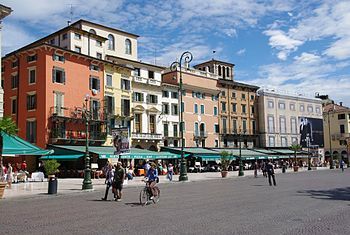 One of the largest wine events in the world is called VinItaly and is held in Verona, Italy. Italy’s landscape is cloaked with vineyards because winemakers in Italy generally pursue vertically integrated business models that involve growing, harvesting, crushing, aging and bottling their wine. The end product is strongly influenced by the region of origin, the grape that is used in the process and the skill of the winemaker. Piero Antinori’s devotion to winemaking is woven through 26 generations who have collectively spend about 625 years making wine. Marchesi Antinori is an Italian wine company that can trace its history back to 1385. They are one of the biggest wine companies in Italy, and their innovations played a large part in the “Super-Tuscan” revolution of the 1970s. 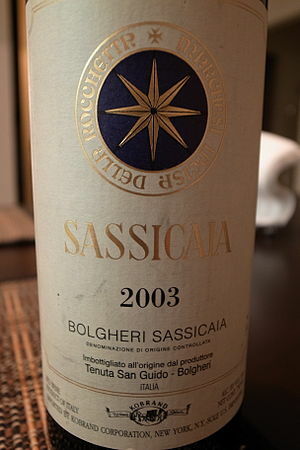 Italian Winemaker‘s are very proud of the quality of their wines. The Italian wine industry provides a wide assortment of wines with various aromas, flavors and textures. The diversity of these wines tends to harmonize with various types of food because of their overall natural acidity. 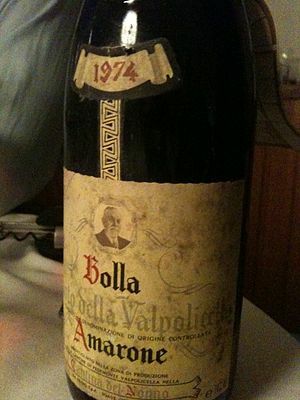 One of my favorite Italian wines is Amarone della Valpolicella. 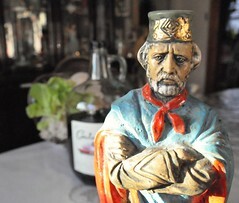 I find it interesting that Ernest Hemingway also loved wines from Valpolicella. Amarone tends to be pricey. 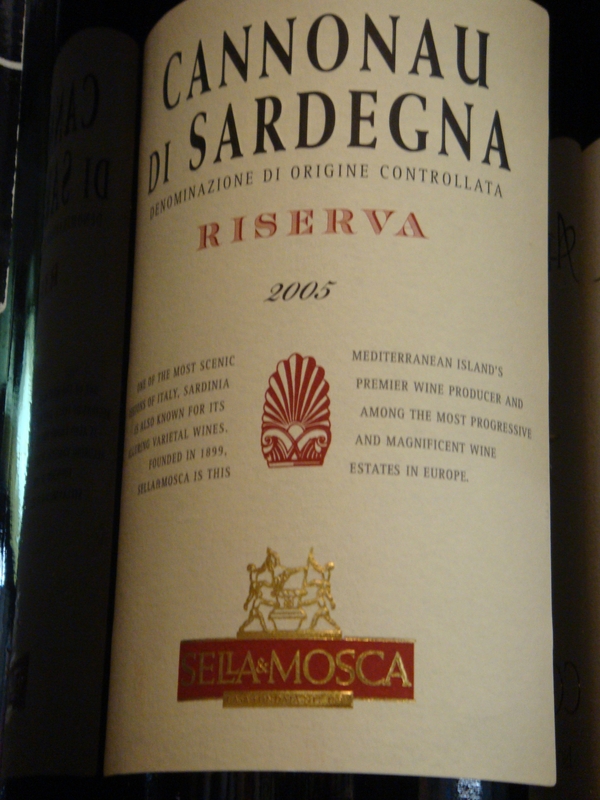 It is made from partially dried grapes of the Corvina, Rondinella and Molinara varieties. It reminds me of decadent chocolate and has a nice velvet finish. The extensive latitudinal range of the terroir allows the grapevines to be caressed by the convergence of many natural forces including climate, temperature variation, sunshine, soil, humidity, slope, elevation, sea breeze and rainfall. Terroir is a French word that passionately describes the total impact of a given microclimate’s geography. These forces produce a kaleidoscope of wines in many distinctive wine regions throughout the Italian peninsula. 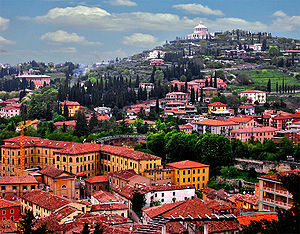 The Italian winemakers rely on the “appellation” system to control the quality of their wine. 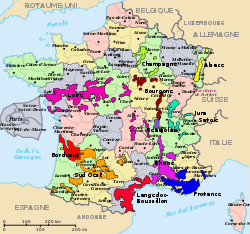 This is a French concept known as Appellation d’Origine Controlee. This term is used to describe the region or specific area where wine is produced. Since the amount of good terroir is limited, so is the production of outstanding wines. 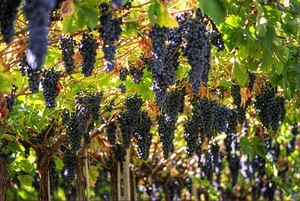 The Napa area of California and the Bordeaux region of France both provide good examples of the concept of terroir. 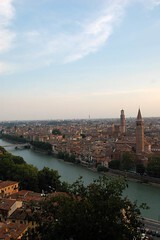 In northern Italy, wine regions border France, Switzerland and Austria. The grapes that thrive in these regions and the wine that is produced from these grapes are quite different from the wines that are grown in Tuscany or in the volcanic soil of Campania and Sicily. 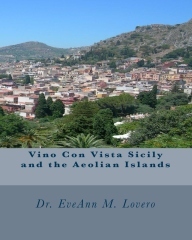 Apulia and Sicily are the largest regional wine producers: they each control about 17% of Italy’s total production. Some regions produce mostly white wines from grapes like Chardonnay, Pinot Grigio or Vermentino. 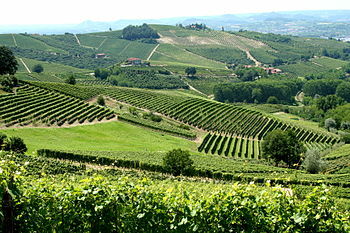 Other regions produce mostly red wines like Barolo from red Nebbiolo grapes or Chianti from red Sangiovese grapes. The tannins of red wine generally overpower the delicate flavor of fish, so fish is often accompanied by white wine. Beyond terroir and weather conditions, wine making offers many opportunities for winemakers to improve or damage their wine. The diversity of Italian wines can be intimidating to some oenophiles because the names are so confusing. 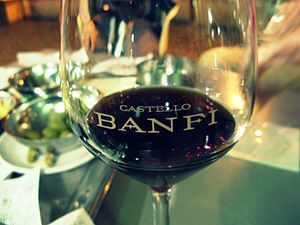 In some regions, wines are named after the grape variety used to make them and in other regions, the wine is named after the village where it is made. 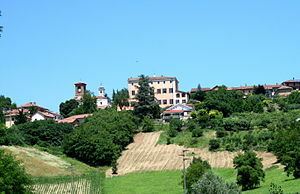 Barolo is a village and Barbera is a grape. Sometimes the wine name combines the grape and the village, like Montepulciano d’Abruzzo. 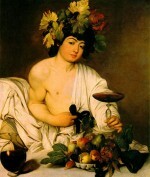 In addition, government regulations define areas where specific wines can be made using the acronyms DOCG, DOC, and IGT. According to Gambero Rosso, there are 60 DOCG wines, 332 DOC wines and 119 IGT wines. 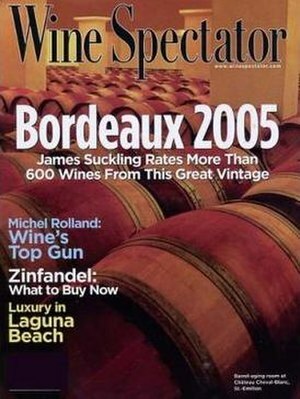 To complicate issues further, some vintages are much better and some wineries earn coveted awards and high ratings from wine critics. 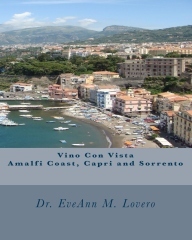 Italy has 2350 producers and 20.000 wines. Gambero Rosso awarded “3 Glasses” to only 375 of those wines. 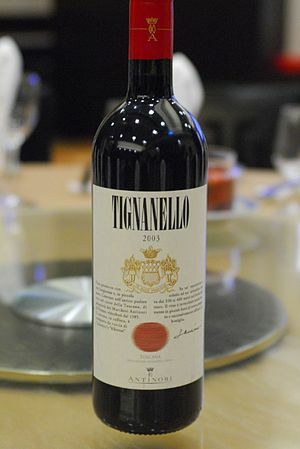 The top performer is Angelo Gaja, “edging toward a 5th star with 49 awards.” Generally, truly great wines improve with age because they gain complexity and character, just like many people. 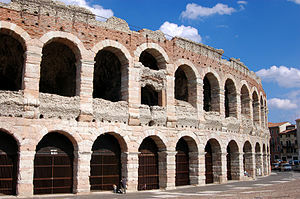 The Italian government regulates the wine industry and provides production parameters for winemakers. To understand these parameters, we can construct a pyramid that represents the quality of Italian wine. At the pinnacle, we will place the hypothetical best wine with the most restrictive production guidelines and at the base of the pyramid we can aggregate the table wines that do not have to adhere to stringent quality guidelines. Piedmonte produces the highest proportion of DOCG wines including Barolo, “The King of Wine.” Watch this video about wine from Piedmonte http://www.youtube.com/watch?v=JEIYj7LJea4. 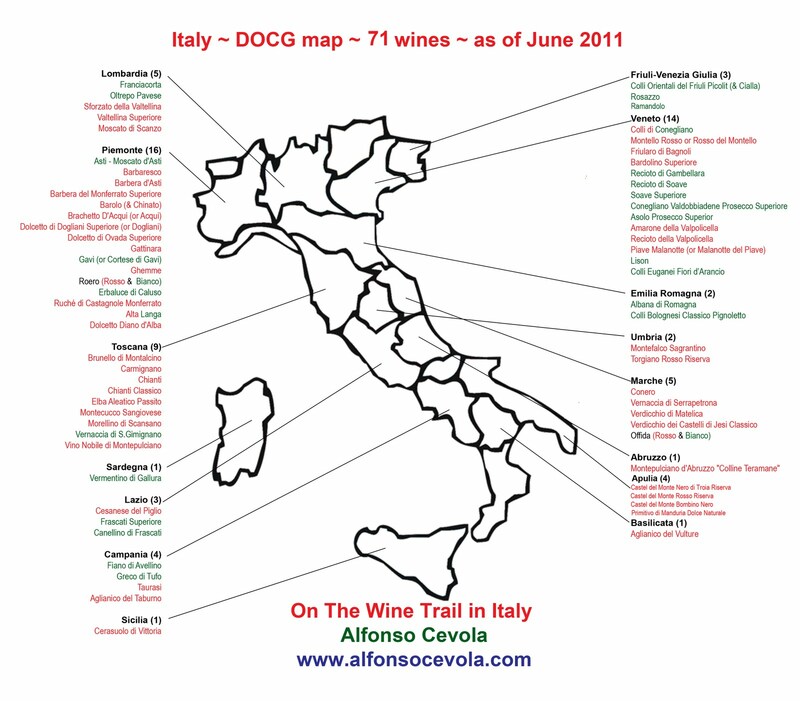 Click here on Alfonso Cevola’s Wine Trail map and hit the magnify button when you get there to enlarge the map; or click on the map and enlarge…Enjoy! Thanks for you great map Alfonso!!! !